Nokia has been the pioneer in mobile technology and it is evident through the innovations and ideas the company has been proving to its consumers. I’ve been a Nokia lover for a long time and have seen their products and services transform over the years. Of course, everybody has seen Nokia’s products including handsets, accessories, services and software support. But what about the real brains behind the Finnish company? 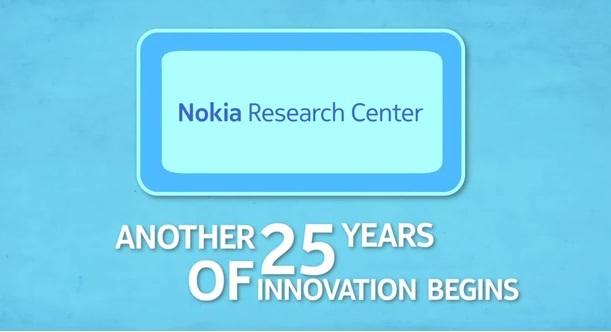 The Nokia Research Center has been constantly putting in efforts and has been a leader in technological advancements. For example, Nokia created the first handheld mobile in 1987 and they even created first internal antenna and even made the first 3G call in 2001. They recently celebrated their 25th anniversary of providing great mobile technology, solutions, and creative ideas in the cellular world. Here’s a quick video taking you through some of the most prominent innovations that Nokia has given us, without which, mobile phones wouldn’t be the way they are today.